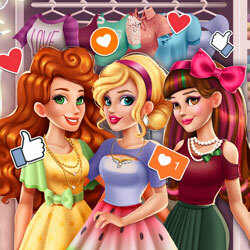 Description: Audrey, Jessie and Victoria are three fabulous girls who really enjoy spending time on social media. But in order to stay cool, they'll need some help from you! Dress the BFF squad in cool outfits of the day and join them as they take selfies for Instagram and Facebook!